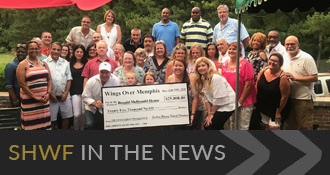 Memphis will feel the heat once again this Spring as the Annual Southern Hot Wing Festival (SHWF) fills Memphis with the tantalizing, alluring aroma of hot wings on the barbie. For the 17th Annual Southern Hot Wing Festival (SHWF) there will be approximately 80 team spaces which will be guaranteed on a first come first served basis. Spaces may become vacated closer towards the date of the event should any team(s) not complete all the requirements of the application process. Extensions or announcements for additional space may be allowed at the discretion of management, but cannot be guaranteed. Before your team applies to be a part of this event, we strongly encourage you to review all of the rules and guidelines that you and your team will be responsible for adhering to prior to and during the event. Once you have reviewed any and all rules and guidelines, asked us any questions (if applicable), you may then proceed to submit your application online. The fee to participate in the contest depends on the amount of booth space that you request for your team (see pricing above above). This is required per team and must be paid in full by the entry deadline of April 9, 2019. This year, we will offer an upgrade to returning teams that have been with us and have made exceptional contributions. These teams can choose either a space upgrade for no extra fee, or receive their same space for a 1 level fee reduction. Life happens and things change. We understand that. We do kindly ask that you please notify us in advance (within one week / 7 days) of the event or at your earliest convenience so that we can release your space to another team as needed. The cooking portion of this contest is sanctioned by the Kansas City BBQ Society (“KCBS”) and as such is governed by the regulations and guidelines which they have established. All contestants will be evaluated through a blind judging process which shall be administered by independent KCBS Certified representative(s). This guarantees impartiality and fairness to all of our cooking teams vying for top honors at our event. The event organizers for Southern Hot Wing Festival have absolutely no input in the official judging process. The rulings of the KCBS judges are final. When applying to participate, you will be required to indicate that you have reviewed and acknowledged all of the rules and guidelines that have been outlined herein. Your application constitutes acceptance of these rules and your intent to adhere to them while participating in this KCBS sanctioned cooking contest. In addition to bragging rights, we will award prize money and a trophy to the top 3 scoring teams as determined by our KCBS judges. In addition to first place honors, teams will also receive a trophy, recognition on our hall of flame and an invitation to participate in one of our affiliated events (application fee’s waived). Winning team awarded $250 and boasting rights! 50% of the purpose of this event is for teams to help raise money by collecting donations from festival patrons in exchange for sampling some of your various hot wings throughout the day. The team who raises the most money in donations for the Ronald McDonald House while at our event shall be awarded with the title of Top Fundraiser in the hall of flame in addition to complementary admission to participate in the next annual Southern Hot Wing Festival with all application fees waived. View our Cooking Team FAQ here. If you need help with something that has not already been answered below, please feel free to contact us for assistance. We would love to hear from you, or check out our FAQ’s for our most popular contact requests.